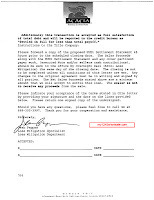 Days for Approval: We got this approval letter in 73 days from contract ratification. Amount Forgiven: Over $100,000 and the seller does not have to pay the bank back! We did not have any problems with Acacia or Wells Fargo. We had some slight delays with both lenders but overcame both problems. Acacia did not want to start the process, so we had to escalate to the president of Acacia to get him to move this file along. Wells Fargo was fighting us because they believe our client could afford the place. She could but she no longer wanted it as it was upside down. We negotiated and got both of these banks to full approve the short sale and waive the deficiency. 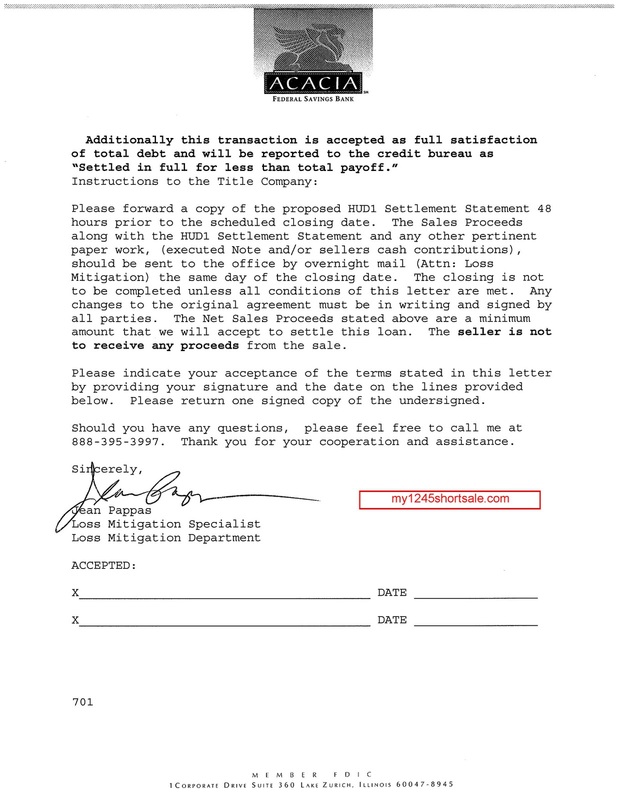 Here's the Acacia and Wells Fargo short sale approval letter. 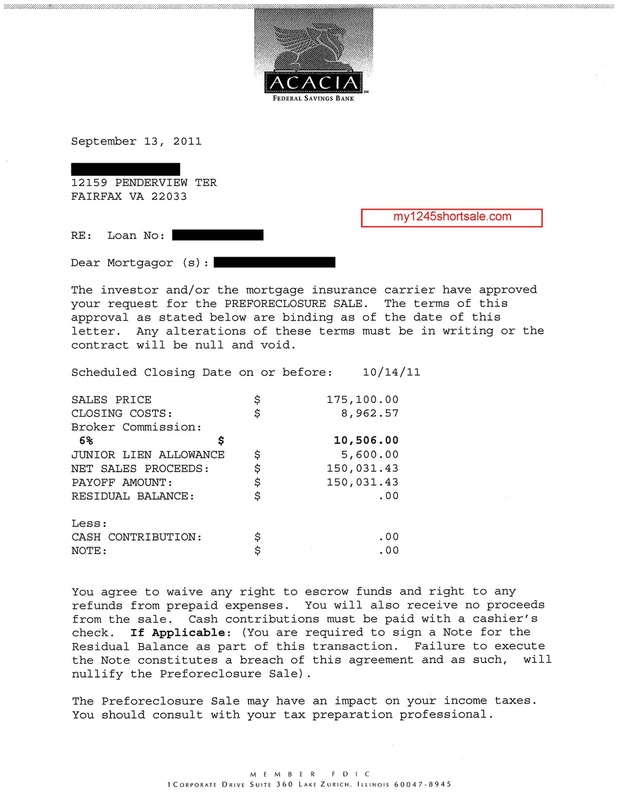 The banks states "The preforclosure sale may have an impact on your income taxes. You should consult with your tax preparation professional. 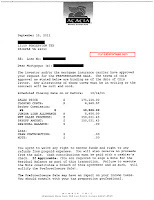 Additionally this transaction will be reported to the credit bureau as 'Settled in full for less than total payoff.'" According to the tax attorney, this is a good letter. Since this was her primary residence, she will not have to pay taxes on the forgiven amount. If you have any questions concerning Acacia and Wells Fargo Short Sales Contact Us. We have a proven record with Acacia and Wells Fargo (Preforeclosure) Short Sales. We can help you with Acacia and Wells Fargo Short Sales in Virginia & Maryland.